Transform your enterprise in minutes using the most advance one-step web re-facing modernisation solution available for IBM i. Utilising the intelligent ‘Mi’ engine, Modern-i detects screen and subfile elements and transforms to web component automatically. Customise and extend your interface through the integrated ‘drag and drop’ design studio and deliver the best experience for any audience on any device. On installation, Modern-i instantly converts your green-screen to web pages. The intelligent ‘Mi’ engine automatically recognises function keys and converts them to buttons, it identifies ‘subfiles’ and transforms them to tables. You can export data and results to excel on a single click and automatically convert the old character based box to become real, moveable pop-up windows. Screen options become drop down lists while single sign-on (SSO) retains full enterprise compatibility. Full control over green screen(s) consolidation and further customising is managed through the integrated ‘drag and drop’ UTI Design Studio. “Using the drag and drop design studio, it took just a couple of hours to create some templates that replicated our corporate identity. In under a day, we’ve converted our 5250 screens to be running under a browser using our fresh and modern look and feel. An out-of-the-box web facing Modernization tool that's both flexible & powerful? Perhaps you'll want to re-engineer your screens to pull together multiple green screens into the one web page or split a screen into panels and then re-position at will. How about adding charts & graphs, downloading to excel or personalizing the interface to match your corporate identity?  Then you'll want active directory support, the ability to add web widgets and provide conditional validation.... Modern-i offers all this, and more!